Still checking out the site over there, they continue to work hard trying to think of campaign ideas and getting contact information for the creators...you know, a few fresh ideas are always welcome. 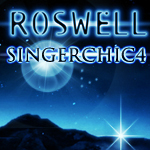 Anyway, it'd be nice to drop by and become a member, if not renew your membership over there and give the moderators a nod for their continued work to get a Roswell movie made. but you ARE the possility of what you can become. Hi! I am not associated with roswellmovie.net, but I am working on getting the film made! If you visit http://www.roswellthemovie.com you can see what's going on and keep up to date as we begin to campaign and move forward with the film. I'm a new filmmaker and writer, but also a Roswell fan, and I plan to do everything I can to make this happen, but it won't happen without the fans! We create our own destinies and if this is what everyone really wants, then the time is NOW to make that happen!